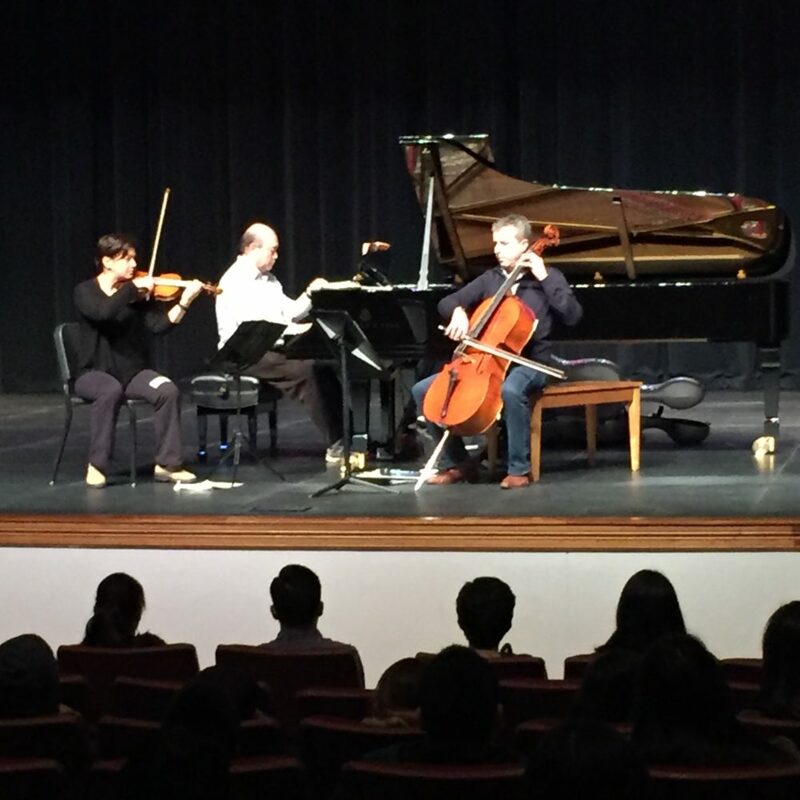 On January 25, 2016 the Gryphon Trio performed an Outreach Concert for SACMS at the Edgewood Fine Arts Academy for music students. 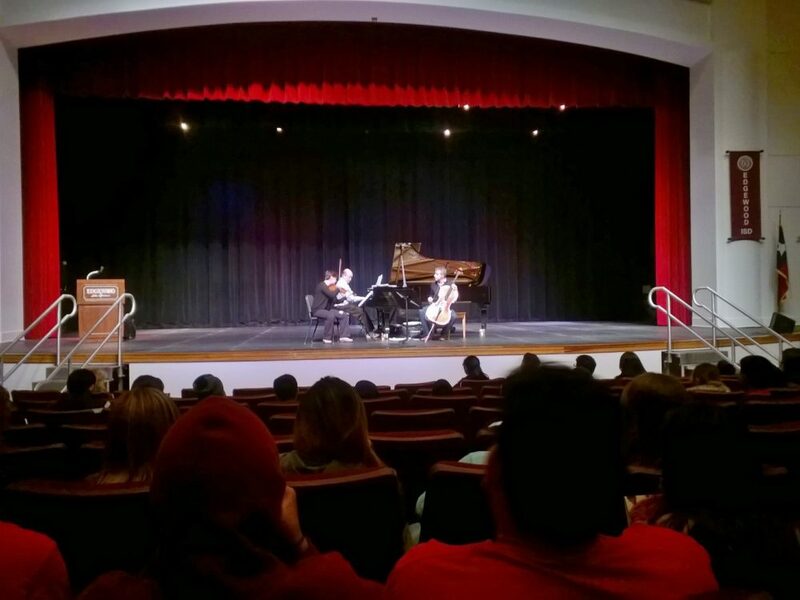 The trio played in the beautiful auditorium. It was a pleasure to hear music in such a great acoustic space, and it was also wonderful to enjoy Edgewood Academy’s beautiful new Steinway grand piano. 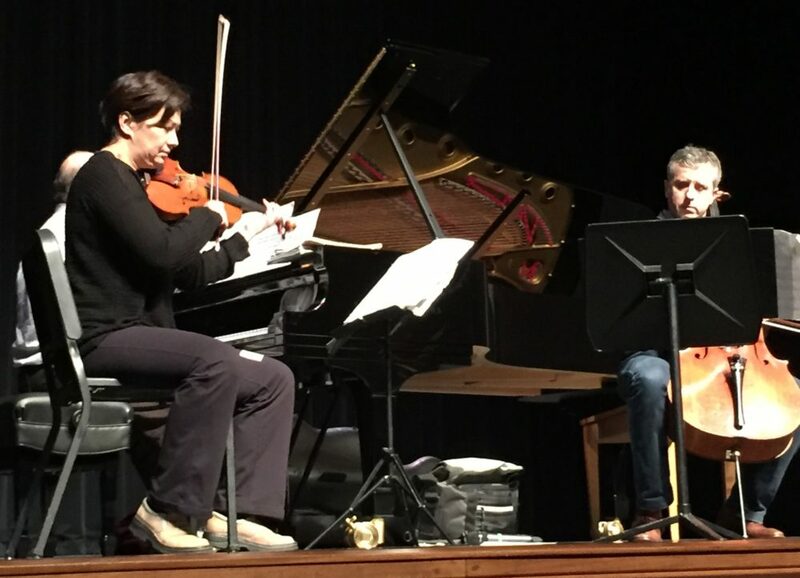 The trio played some staples from the piano trio repertoire including a movement of the Ghost Trio by Beethoven. The students were quiet listeners, and very attentive. One student asked a very sophisticated question about how the musicians achieved their various articulations. When time was almost up, and the cellist asked how much time was left, one student yelled out “an hour”! Clearly the students could have sat listening all day.